Househam Sprayers distribute Fieldmaster offering field boundary mapping as well as a variety of enhanced features that include GPS guidance, Auto Section Control and Variable Rate Application for spraying systems. Compatible with Yara N Sensor as software can be run concurrently on same terminal. The Fieldmaster enables field boundaries to be stored by GPS co-ordinates so that the location is automatically recognised when it is revisited. The Automatic Section Control feature can be programmed to operate on guidance lines and, or heading for fields with false headlands. 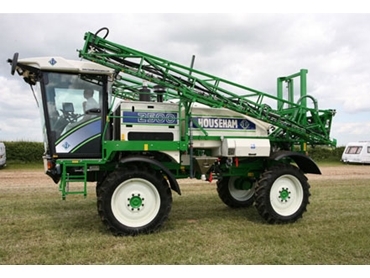 Househam Sprayer are authorised Australian suppliers of Filedmaster equipment and services.